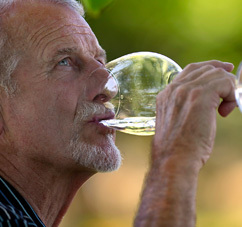 The Martinelli family has been growing grapes in the Russian River Valley since the 1880’s. At the ages of 19 and 16, Giuseppe Martinelli and Luisa Vellutini eloped from their small village in the Tuscany region of Italy, making their way to California looking for land to farm and start a winery. Giuseppe had been a winemaker in Italy and with his viticulture knowledge he was hired to plant a vineyard for a farmer in Forestville. Within two years he earned enough money, and borrowed some from a local wood cutter, to purchase land of his own. 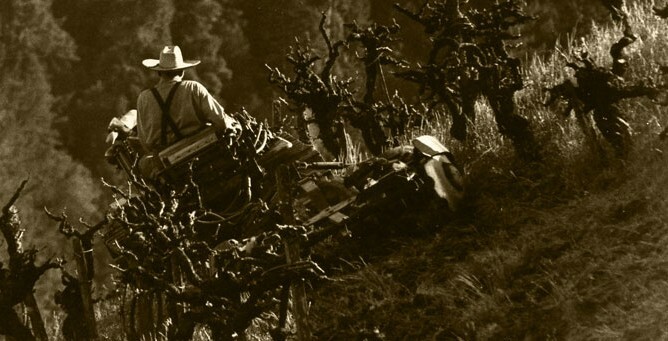 Working side by side on a 60 degree slope, Giuseppe and Luisa planted a small area of Zinfandel and Muscat Alexandria vines, which later became known as the Jackass Hill vineyard. Over 100 years later, this south easterly exposure remains the steepest non-terraced vineyard in Sonoma County. Two generations later, in the 1970’s, along River Road where two old hop barns are situated, four young Martinelli children could be seen on the property hand-polishing and packing Gravenstein and Golden Delicious apples to sell, along with fresh pressed apple juice. The Martinelli’s realized this was the perfect place to also make and sell wine. These two historic hop barns were converted into a wine-making facility and tasting room, keeping with the original feel and structure of these centenarian buildings. Inside the Tasting Room, you can still see the hop pickers’ writings on the walls and doors from the early 1900’s. To this day, the Martinellis still sell more grapes then are used to make their own wines; about 90% of the grapes they farm are sold to other prestigious Sonoma County wineries. 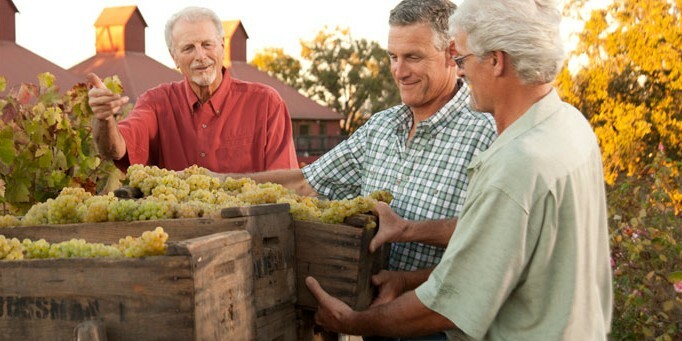 Lee Sr. and his two sons, Lee Jr. and George, continue the proud legacy of care-taking the land, and you may meet one of the Martinelli daughters, Julianna or Regina, on the road at various events or at the winery.